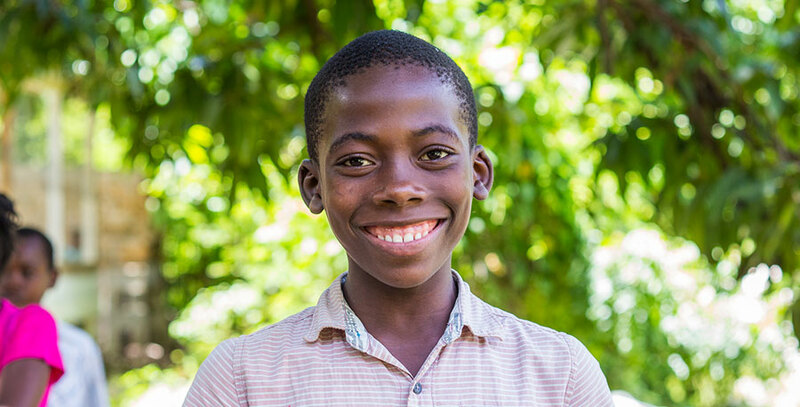 Johnny is a very quiet boy from the village of Les Cayes. He moved here with his younger brother Benamy. Back in Okay, he has both parents and two sisters. But he enjoys living here in Fond Blanc with all of his friends and school. When he grows up, he would like to be a businessman. He really enjoys studying his lessons after class. Johnny is a very good soccer player and gets to play with the older boys a lot. It’s his favorite thing to do at the orphanage. His best friend at the orphanage is Nerisson. If you need help with something he is very happy to offer a hand. He always knows when help is needed and works very hard to get the job done.